Mr. Curtis Gene Watson, 61, of Luthersville, passed away Tuesday, February 5, 2019, at Emory Long-Term Acute Care Hospital in Decatur. Mr. Watson was born January 10, 1958, in Newnan, son of the late Eugene and Georgia Ruth Smith Watson. 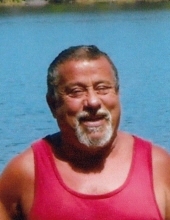 He was employed as an auto mechanic, was Baptist by faith, was an avid lifelong fisherman, and enjoyed being outdoors. Survivors include his daughters, Nichol Watson of Grantville, Hope Eunice of Hogansville; grandchildren, Ethan, Vincent, Conolgio, and Cole; brother, Clint Watson; sisters, Rebecca Spinks of Luthersville, Tina Lipham and Felisha Sanders, both of Hogansville; and two nephews. He was preceded in death by his wife, Jan Henderson Watson. The funeral service will be conducted at 11:00 a.m. (EST), Friday, February 8, in the Chapel of Claude A. McKibben and Sons Funeral Home in Hogansville. Rev. Kenneth Spinks will officiate and interment will be in Fairview Cemetery in Ashland, Alabama at 1:00 p.m. (CST). The family will receive friends at the funeral home from 6 until 8 Thursday night. To send flowers or a remembrance gift to the family of Curtis Gene Watson, please visit our Tribute Store. "Email Address" would like to share the life celebration of Curtis Gene Watson. Click on the "link" to go to share a favorite memory or leave a condolence message for the family.